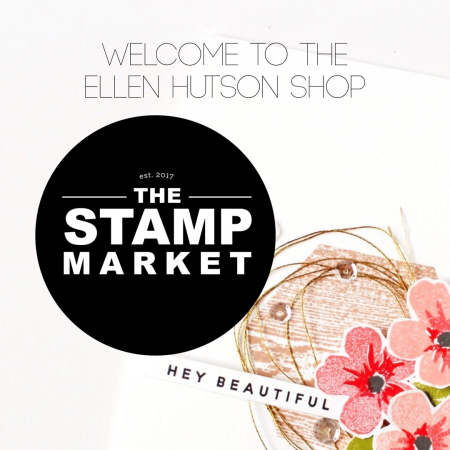 My ode to the fantastic Debby Hughes – she dared to paint on stamps with watercolor, and that led me to explore! See a few experiments, then go try some of your own! Watch the video below or click HERE to see it in HD on YouTube. But the fun graphical hexagons? Yeah, baby! I love how the colors mixed and textures and broken edges worked out. Love the soft look and free feel of the images. Thanks Sandy. You’re always so inspirational. Beautiful soft flowers. I love the hexagon card and the colours used. 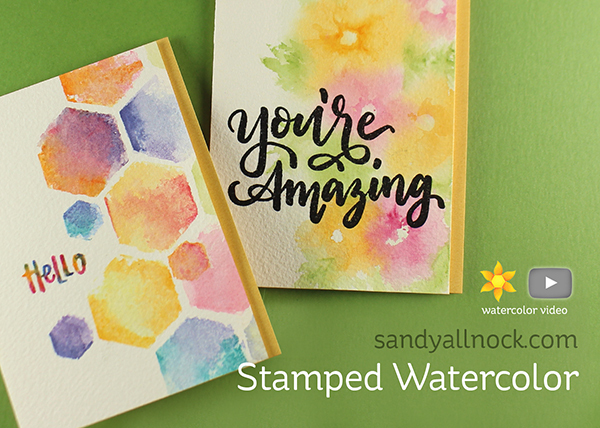 Love the design and soft colors, esp on the hexagon card. Stunning cards, Sandy! Love the soft look! 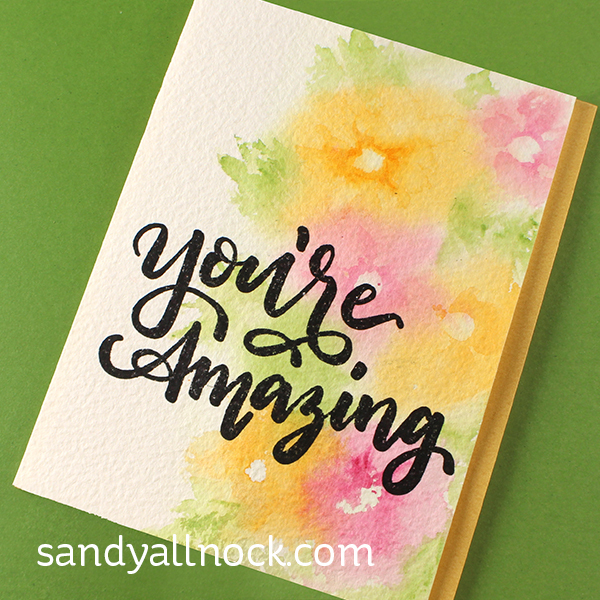 Gorgeous cards, thanks for the video sharing your stamping with paint technique! Love it. I am so inspired by you. Thank you. Love the hexagon card! Thank you so much for showing this interesting way of watercolouring. Trying to work more with watercolor and I think I can do this! Beautiful. Your cards are so beautiful! I am definitely a watercolor lover. I keep practicing and watching your videos. I would love to take some watercolor classes because I really enjoy it so much. Thank you for all your inspiration you have given me. WOW, these are so awesome. I especially love how you did the flowers. Very cool! Beautiful cards, love the colors.